Get preapproved by a lender. Sharing financial information your lender requests will get you preapproved. You'll know the limits on how much home you can afford, how much money to put down, and what your interest rate will be. A preapproval letter will assure the seller that you're ready to buy. 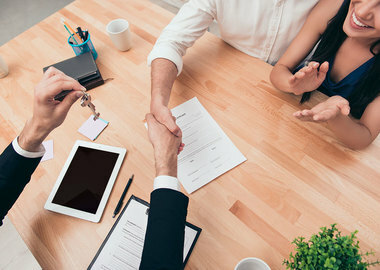 Trust your real estate professional. Your Berkshire Hathaway HomeServices network professional knows the market, can feed you new listings that fit your criteria, and has many contacts to learn about homes coming onto the market which you wouldn't get to see otherwise. Make a realistic must-have list. Pick a neighborhood, house type and price range with a limited number of features. Be prepared to make compromises - smaller, fewer bedrooms or baths. Buy under your means. If you get into a bidding war, you'll need a little wiggle room so you can compete. Many homes will sell above list price, so it's smart to keep your cool because you know you can go up if you need to. Don't bet on it. Low unemployment, rising salaries, fears of inflation and an increasing federal deficit are among many reasons why interest rates are expected to rise in 2018. What happens is that the Federal Reserve raises overnight borrowing rates to banks, causing banks to pass those higher costs onto borrowers. Car loans, credit cards and mortgage loans become more expensive. 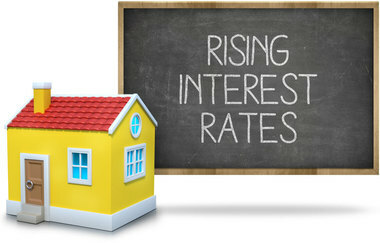 But don't let rising rates discourage you from buying a home. While you're going to pay more for your loan in interest, with a correspondingly higher monthly payment, you're getting higher standard tax deductions in 2018 ($13,000 to $24,000 for couples filing jointly, $6,500 to $12,000 for single filers.) Child care credits are more generous, and your mortgage interest payments are still tax deductible, up to loans of $750,000 or more. Compared that to the tax breaks you're getting, you're ready to go. Most buyers want a move-in ready home that's clean, updated and functional and they're willing to pay more to get what they want. Here are just a few improvements you can do that will go a long way with buyers. Update the finishes. If you're going to improve a room, update everything, even the light switches. Get rid of popcorn ceilings, which are universally reviled by buyers. 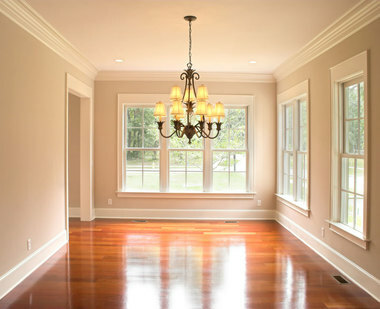 If you have wood floors, pull up your old carpet and polish the wood until it gleams. Reconvert the conversions. Conversions are usually awkward, such as garages turned into living spaces. The house and garage elevations are rarely the same, the driveway leads nowhere, and there's no place to park cars away from the next hailstorm. Offer to reconvert on request. Say "Welcome!" with curb appeal. Fresh modern paint on the front door, a new welcome mat, potted flowers, shiny new porch lights all show pride of ownership - something you want your buyers to feel, too. Spring clean. Dust all the blinds, wipe down the quarter-round molding, and clean under the beds and furniture you haven't moved in a while. Organize your closets. Unless you're extremely neat all the time, you're bound to have items you can sort. Create sections or piles to keep, throw away, and donate. Getting rid of clutter makes you feel good and it also makes your home look better. Paint something. Paint may take longer to dry in wet weather but it's still fun to sand and finish an old table or spruce up a nightstand. Get your house paint from the garage and touch up dings on the doors and walls. Or paint some small terra cotta pots and fill them with plants for your kitchen window. Fix something. Even if you don't know how, it's time to stop that leaky faucet or install that new sink. Just visit the Internet for instructions or invite a knowledgeable friend to help, and then serve them dinner. Make updating plans. 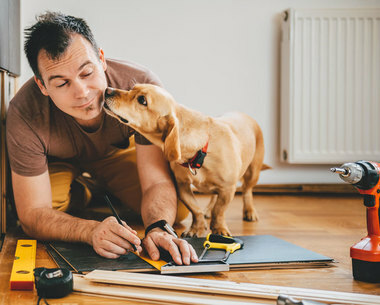 A rainy day is a good time to assess your home and think about projects you want to do later. Make a wish list of things you want to accomplish, like updating the kitchen or finding new lamps for the den.